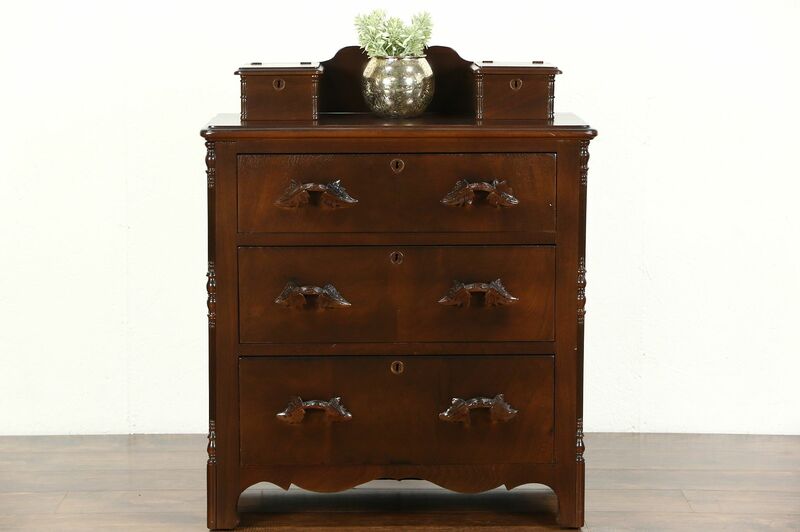 A sweet little Victorian period chest or dresser from the 1860's has jewelry boxes and original hand carved pulls with walnut leaves. Solid walnut, the deep finish is in excellent condition on this American made furniture. Drawers have hand cut dovetail joints and chamfered bottoms, there are square cut nails. Size is 30" wide, 15" deep and 37" tall.